In a busy warehouse, a pallet jack is bound to go through a decent amount of wear and tear. Whether you primarily use stainless steel, low profile, electric, or any other type of pallet jack, you want to ensure that they stay up and running for as long as possible. So how exactly can you and your team go about extending the life of your pallet jacks? Read on to find out! One way to ensure your pallet jacks stay in good shape is by adhering to maximum weight instructions. 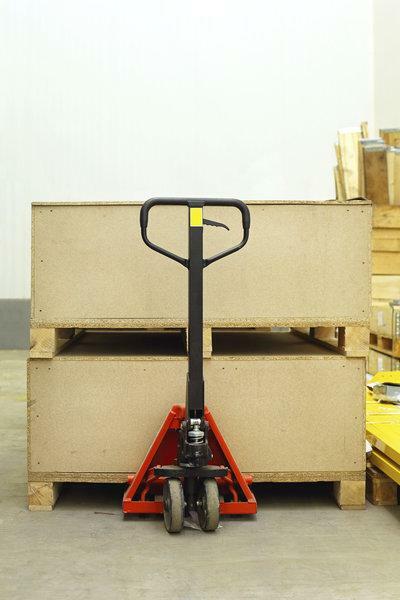 Overloading a pallet jack, even if it seems to be supporting the weight, is not only dangerous, but it can also increase stress on the jack itself. This can lead to it wearing down much sooner than a properly-used pallet jack would. Another must for increasing the life of your pallet jack is ensuring they are stored properly. Allowing other items or pieces of equipment to rest on top of them or exposing your pallet jack to a constant source of moisture could degrade the material more rapidly than if it were protected. Simply by being aware of changes in your pallet jack’s performance, you can help to increase its longevity. Take note if it seems sluggish or in any way different than its normal, optimal working order. Ordering regular maintenance for your pallet jack is the most important thing you can do to extend its life. Like any other materials handling equipment, pallet jacks need attention and care to stay running. A company like S.W. Betz can perform regular maintenance and ensure that your pallet jacks stay running for years to come. By taking good care of your pallet jacks and ordering regular maintenance from a reputable company, you will get more out of your investment! Get in touch with S.W. Betz today to schedule a maintenance session. S.W. Betz is a proud distributor of Wesco pallet jacks.